The third quarter of the 2017 Lab Goddess Fibre Club is done and dusted, so it's time to share all the goodies from the last round with you. July brought Cobalamin on Wensleydale, inspired by British scientist Dorothy Crowfoot Hodgkin, a chemist and X-ray crystallographer. Dorothy Hodgkin was awarded the Nobel Prize in Chemistry in 1964 for her work in determining the structure of Vitamin B12 (also called cobalamin). To date, she remains the only British woman to have been awarded any of the three Nobel prizes in science (Physics, Chemistry and Physiology or Medicine). August brought us to another British scientist, Dame Nancy Rothwell, a physiologist and neuroscientist whose research has investigated energy balance regulation, obesity and wasting syndrome, and now focuses on inflammatory processes that damage the brain after stroke. The August colourway, Anakinra, was named for a drug that Dr. Rothwell is currently working with to see if it can prevent stroke damage, and was dyed on Finnish, a medium wool. The quarter finished with a special base, 80% organic Merino/20% mulberry silk that I've been hoarding for quite a while, waiting for the right project. This colourway was inspired by Alma Levant Hayden, an African-American chemist who was instrumental in debunking Krebiozen, a 1960s miracle cure for cancer which actually did nothing of the sort. Instead of a revolutionary new medical advance, Krebiozen turned out to be nothing more than creatine, a naturally occurring organic acid produced by the liver. Slots are still available for the last round of the Lab Goddess Fibre Club for 2017, and I hope you'll join us! Over the past weeks as I've been preparing for Yarndale at the end of the month, I've been playing around with some new dye techniques, and finding some fantastic ways to put colour on fibre! 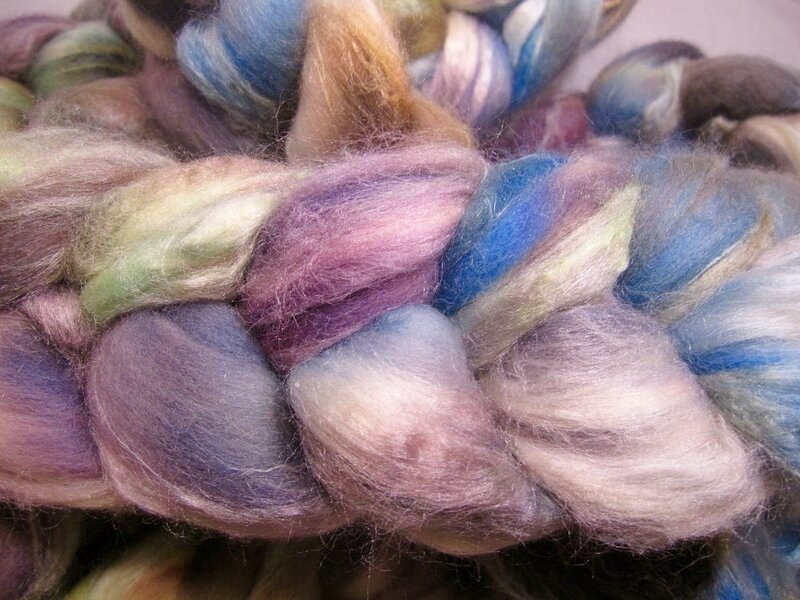 Back on the podcast a little while ago, Allison suggested that I should try speckled fibre. As someone who has been slow to get on the speckled yarn bandwagon, I was a little bit dubious as to how that would look on fibre and then again as handspun yarn, but I've been trying it out and I am really pleased with the results! What's even more interesting is that the speckles on the fibre in Sand Creatures ended up blending in the handspun yarn in ways I didn't expect. I'm really looking forward to seeing how these colourways look spun up in different ways as other spinners put their own touches on them. While the process I've developed for speckled fibres is more time-consuming than my standard dye process, it does allow me to layer on colours in ways that end up very unexpected sometimes! I'm working on a few more different variations in the run up to Yarndale (including [left] Sunshower on BFL and [right] Gorse on Superfine Falkland), so if you're intrigued, please come by and have a squish in person! I'll be on Stall 163, and I hope to see you there! With the third quarter of the 2017 Lab Goddess Fibre Club about to kick off, I thought I'd share the last round of club colourways. 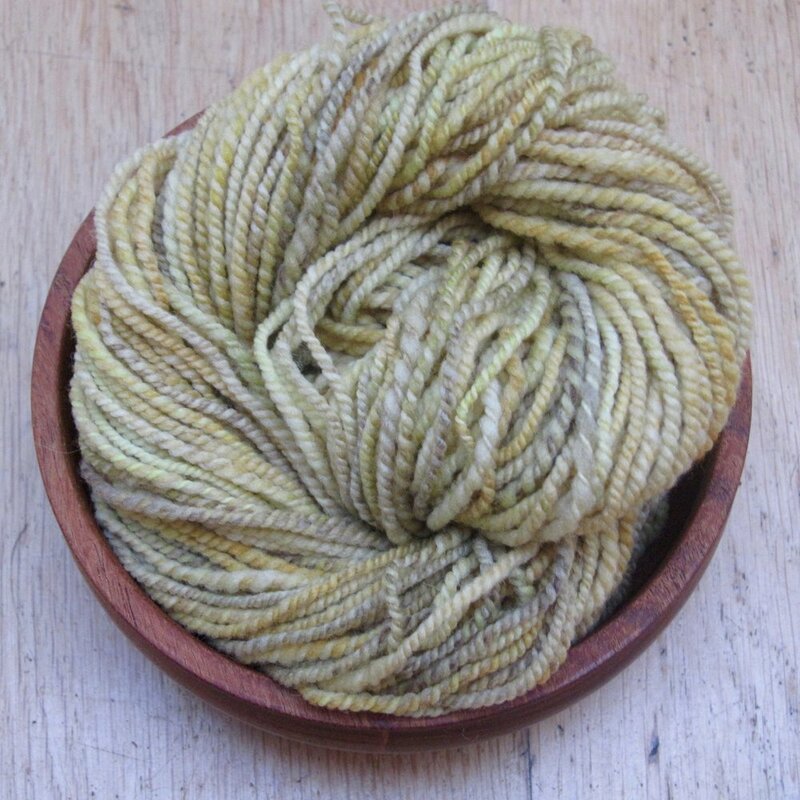 First up is April: Olduvai on 56s English wool blend, inspired by paeloanthropologist Mary Leakey (1913 - 1996). Mary Leakey was a world-renowned archeologist and paleontologist, who spent most of her career excavating at digs around the world, particularly in central Kenya and northern Tanzania. In 1959 she discovered the 1.75 million year old skull of a hominid that was later named Australopithicus boisei. She and her husband, Louis, discovered some of the first specimins of Homo habilis in 1960, one of the earliest hominid species to use stone tools. Over the course of her many years in the field, Mary Leakey discovered fifteen new species and one new genus. This colourway inspiration comes from images of the Olduvai Gorge, where Mary Leakey spent more than 20 years excavating and some of the images from our holiday in April. The overarching theme to the palette is earth tones – browns, tans, oranges, rusts – that reflect the different layers of the gorge’s walls. Next up is May's "Visual Thinking", inspired by animal scientist Temple Granding (1947- ). Temple Grandin is an animal scientist who revolutionised animal slaughter technology by putting humane treatment and reduction of stress at the forfront of livestock handling and the slaughterhouse industry. Diagnosed with unspecified “brain damage” at the age of two, Temple's mother came across an autism checklist when Temple was a teenager and hypothesised that most of Temple’s symptoms could be explained by autism. She was formally diagnosed as autistic in her 40s. After earning a bachelor’s degree in human psychology, Grandin went on to complete a master’s degree and PhD in animal science. Her research was some of the first to report that animals are sensitive to their surroundings and that animals that remained calm during handling had higher weight gain. Her work also showed that an animal’s previous experience with handling would affect how it reacted to being handled later on, in stark contrast to the view of livestock at the time. Dr Grandin has said “I think in pictures, I don’t think in language…my mind works like Google images.” This idea of a visual language made me think about what colours might run through an internal movie reel of Temple Grandin’s work, and came up with this combination as a starting point (although many other combinations are possible). Finally, we have June's club colourway, inspired by Russian biologist Vera Danchakoff (1879 – ?). Vera Makhailovna Danchakoff was born in St Petersburg in 1879 and went on to become the first woman professor in Russia. Although little is known about the personal details of her life, her years as an active researcher and scientist have influenced generations of biomedical researchers. Dr. Danchakoff’s initial research was focused on blood cell development. In a 1916 lecture, she described studies in several species that led her to postulate a common source for all the cellsmaking up mammalian blood, a cell that has since become known as a stem cell. She also hypothesised that this common mother cell was preserved after embryological development, and could give rise to pathologic conditions later in life. Since the early 20th century, scientists have filled in the gaps in stem cell theory, and stem cells are now widely recognised to be important potential treatments for disease, and may hold the key to treating brain damage, spinal cord injury, type 1 diabetes, Alzheimer’s disease and dementia, and a wide range of other conditions. In graduate school, I learned that the most important differentiating characteristic of stem cells was the fact that they were pluripotent, or capable of becoming many things. A neural stem cell isolated from the brain might become a neuron in one environment, but in slightly different circumstances, it might become a glial cell. A haematopoietic stem cell might become an oxygen-packed red blood cell, or it might become a bacteria-eating macrophage. It all depends on what that stem cell experiences as it differentiates. 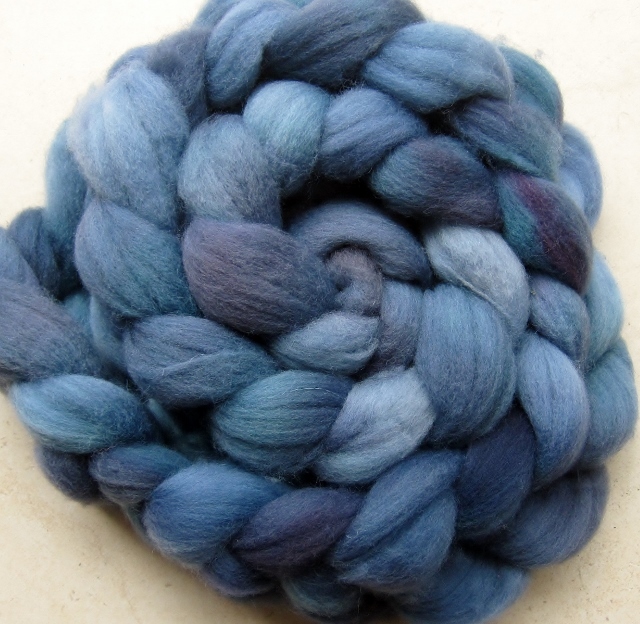 In some ways, spinning is a bit like the process of stem cell differentiation: we may start with the same dyed fibre, but depending on how it gets prepped and spun, and how it gets used in the final item means that the possibilities and ultimate results are endless. That wraps up the second quarter of the 2017 Lab Goddess Fibre Club. If you're interested in joining us for the third quarter, running from July - September, you can sign up now. Sign ups will close on 15 July, so don't wait too long to get yours! I've been re-reading the Game of Thrones series recently, and am excited to add another GoT-inspired colourway to the shop update this weekend - this is Weirwood, which joins Drowned Gods and The Red Woman. I'm much happier with the newer version, which will be in the shop update on Sunday! The update will go live at 10:00 am Sunday, but newsletter subscribers get first dibs on Saturday night from 9pm - sign up through the link at the bottom of the website. I've come back from two weeks on holiday to discover that while I was away, the leaves have come out and spring is truly arrived! (As my hayfever can attest!) 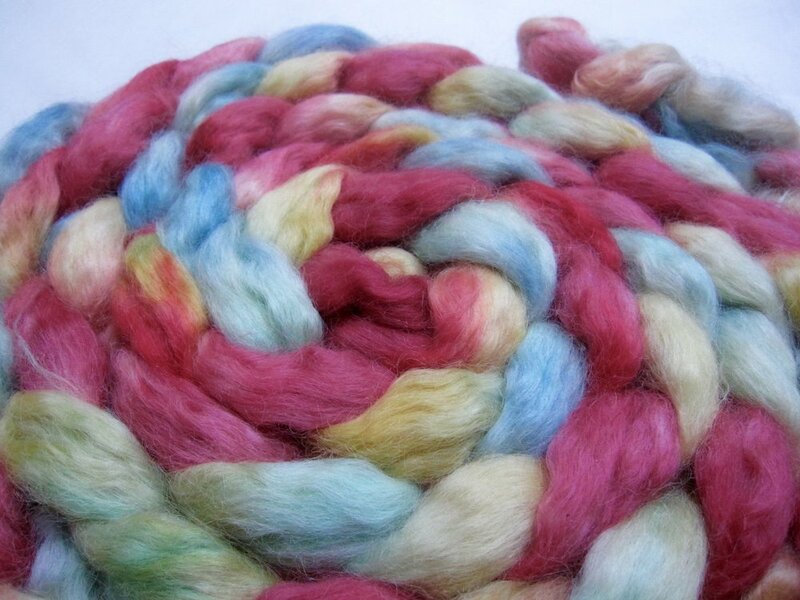 What better moment to share the most recent Lab Goddess Fibre Club colourway? Surinamensium is inspired by entymologist and scientific illustrator Maria Sibylla Merian, who lived from 1647-1717. Trained from childhood as an artist, Merian painted her first images of insects and plants at age 13. Her first book of natural illustrations was published in 1675 and in 1699 the city of Amsterdam gave her a grant to travel to South America, where she spent the next two years travelling through the colonies, sketching. In 1705, her most famous work - Metamorphosis insectorium Surinamensium - was published, and was one of the first books to detail insect metamorphosis, a process which had been largely ignored as insects were considered unworthy of scientific interest. 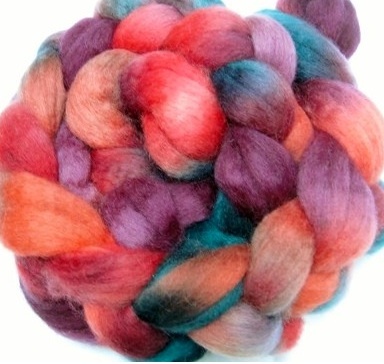 The image that inspired the colours used in the March Fibre Club. I wanted greens for the March colourway, but coupled those with blue, brown and mauve from the moth's wings. I can't wait to see how this colourway spins up, as the contrast in the depth of shade of the different colours should make for some interesting pops in the finished yarn. 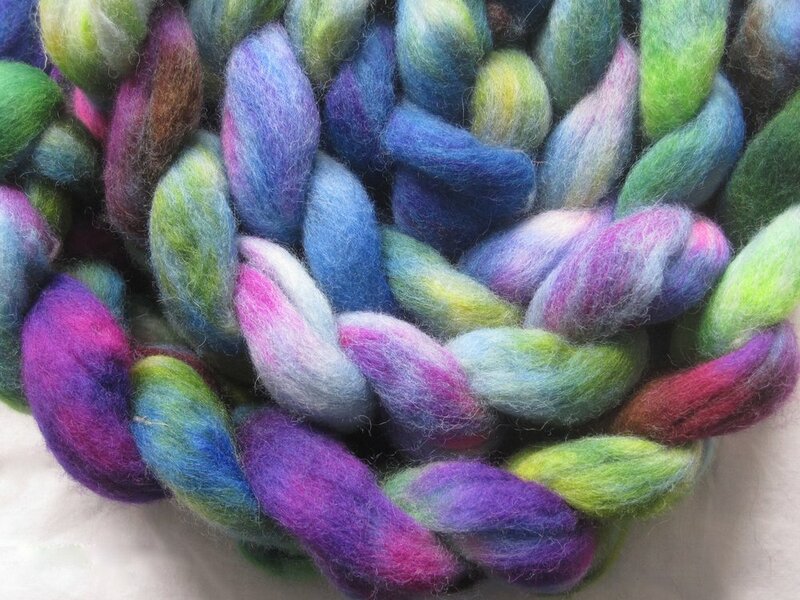 This month marks the start of the second Fibre Club of 2017 and slots are still available - they will be closing as of early tomorrow morning, so if you'd like to join in please don't wait! I'm off to enjoy the fresh spring greens and start spinning up my Surinamensium - happy bank holiday to you all!